Let the experts at QMM coordinate and manage your move within Canada. We fully understand the stresses involved with local moves and moving across Canada, which is why we work tirelessly to provide you with a seamless Canadian relocation. We have a team of highly-trained and professional cross-country packers and movers who specialise in both local Canada moving and long distance moves in Canada. Every client that chooses QMM as their cross country-movers in Canada receives a totally unique experience, and we have a customized solution for all personal needs and requirements for loval moving in Canada. Regardless if you are moving around the corner or to the opposite side of the country, it is more time and energy efficient to leave the taskto the professional cross-country moving companies. We take pride in offering a premium moving experience for all. Our long distance movers in Canada provide you with a free in-home estimate and then create a structured relocation plan best suited to the requirements of your move within Canada. Assembly/disassembly of appliances, furniture, hot tubs, etc. Whether you are looking for a full relocating across country service, or just for us to to pack your belongings, we can provide you with a quote for what you need. We offer a variety of local moving services including new or gently used packing materials. Our packing guide is available for tips and ideas to best prepare you for your upcoming move. 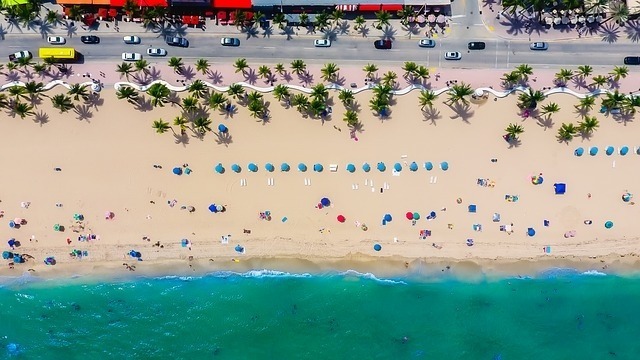 Moving into a new home can be an arduous undertaking, whether that is relocating across the country, to a new city or a local move around the corner. Although a local home move might seem easy enough to handle by yourself, it is much more time and energy efficient to let the professional local moving companies oversee the relocation. Thousands of families, couples and individuals call on the assistance of Quality Move Management as their local movers and use our services to make their local moving in Canada a breeze. Our specialist local movers and packers have no limits on the local home moving services they provide and they individually tailor every move, meaning we have a practical solution for even the trickiest of requests. Quality Move Management is an economical Canada local moving company that NEVER compromises on quality. Our cost-effective home move solutions still ensure you receive a thorough and superior service, which is why we include minor details in your local moving quotes, as well as the major. We have offices in Vancouver, Calgary, Edmonton and Toronto, but our diligent local movers have knowledge of all corners of the nation and it is likely you will have somebody overseeing your move that is familiar with your town or city! We can help you relocate to a location as close as the adjacent apartment block, move your two bedroom townhouse to the next town along or help to relocate your four-bedroom family home to a suburban neighbourhood. Our local moving in Canada services have no boundaries. 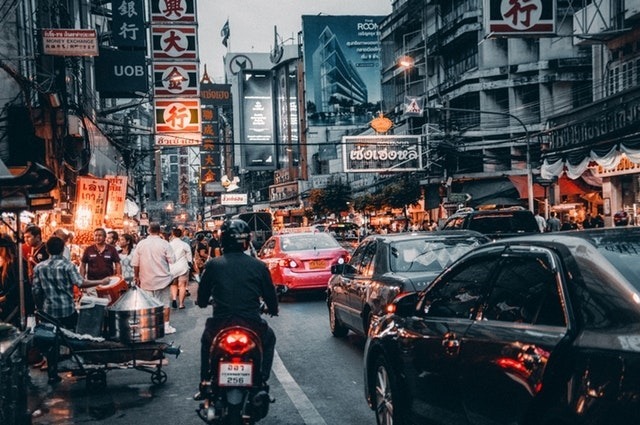 Due to the expanse of the country, moving to a new province or relocating across country in Canada can be intimidating, especially with household goods in tow. Passing the burden onto a professional long distance moving company means you can enjoy the relocation with minimal stress and take the shortcut to your new destination – via airplane! Quality Move Management is one of Canada's specialist cross-country moving companies, putting our home moving services to the test on a daily basis and helping thousands of pilgrims moving across Canada every year, for over two decades. We are a cheap long distance movers and packers, but we pride ourselves on that and it never hinders the quality of service. Our cost-effective cross country movers solutions still mean you receive an exceptional experience and we include all minor, major and the finest of details in our long distance moving quotes. As one of the foremost cross country movers in Canada, we customise each move to the individual and we have no limits to our home moving solutions, allowing us to tackle the most precarious moves. Our long-distance moves in Canada have successfully helped students move from Winnipeg to Vancouver, families from Yellowknife to Regina, businesses from Fort McMurray to Québec and beyond... our long distance moving services can take you anywhere! We rigorously train our packers and movers for long distance moves in Canada specifically, ensuring your personal possessions and household goods are well protected even on the longest of journeys. We have headquarters in Vancouver, Toronto, Calgary and Edmonton, so you can rest assured there will be a familiar face at either end of your journey if you choose QMM as your long distance movers in Canada. 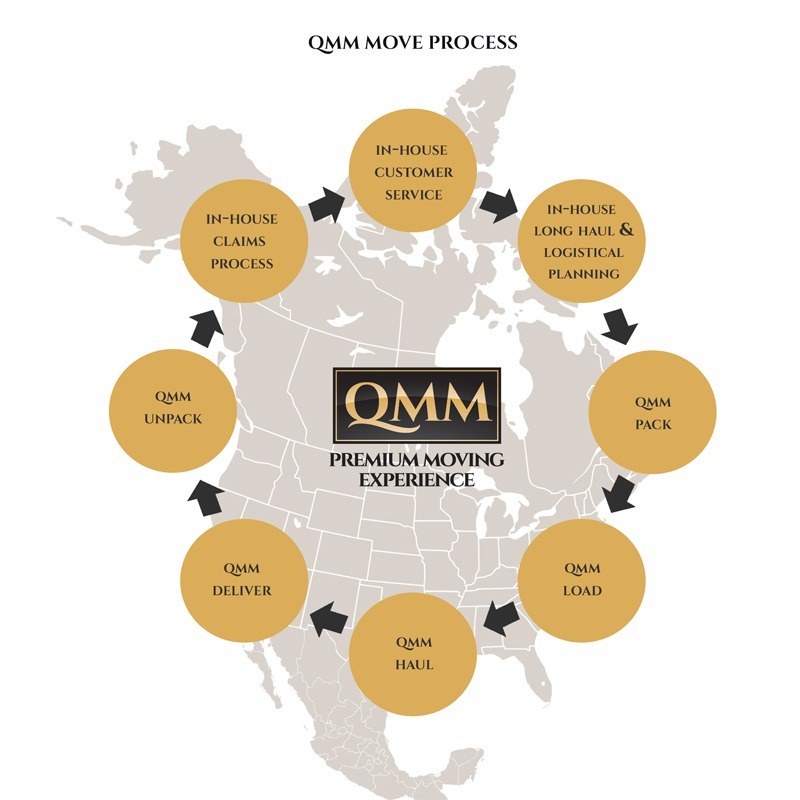 Why choose QMM when moving within Canada? QMM has been delivering quality and structured long distance moves within Canada for over a decade, paying close attention to the finer details and customization, allowing us to become one of the foremost country's foremost cross country moving comapnies. QMM’s first priority is always the customer and we understand the need for a personalized move each and every time. Therefore, all moves in Canada are treated as an individual by taking your needs and requirements into consideration and planning the move accordingly. Moving into a new home can be a stressful experience, whether it is a local home move or long-distance move, so our Canada movers and packers will formulate a detailed and logical plan to ensure you receive a premium moving experience. We like to ease the load during your home move so all relocations are all-inclusive when you choose QMM for long-distance or local moving within Canada. Our cross country movers in Canada handle all the manual work of packing, delivering and storing your items, allowing you to relax. Bespoke crating for high-value items including fine china, antiques and artwork, etc. Assembly and disassembly of furniture, fitness equipment, ice makers, swing sets, etc. Connection and disconnection of appliances, pools, hot tubs, etc. 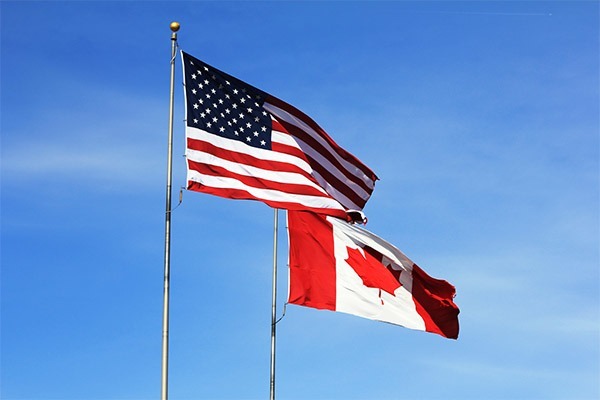 From notable levels of personalization and a full menu of services, to our goods protection options and seamless long-distance and local relocations, the benefits of using QMM when moving within Canada are limitless.